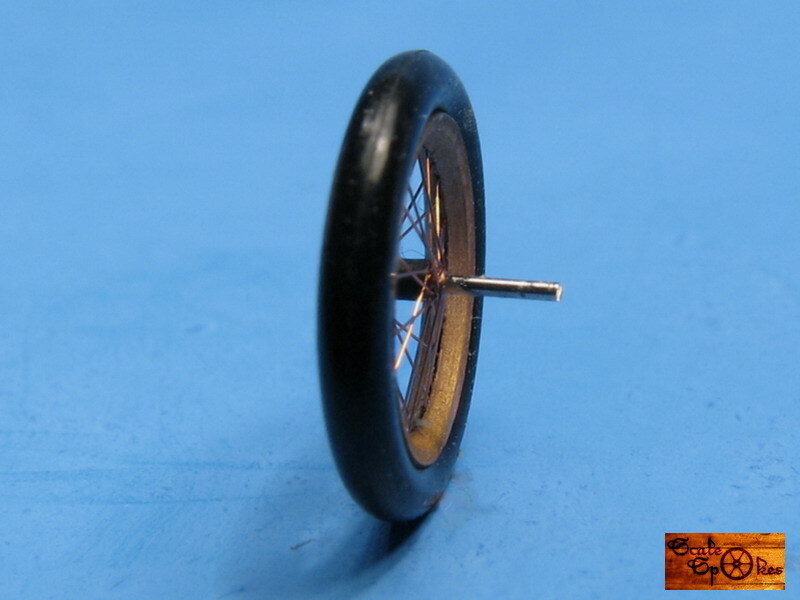 Category: Aircraft, Aircraft Wheels, 1/72. 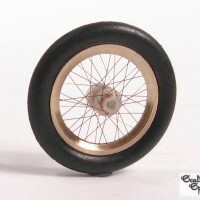 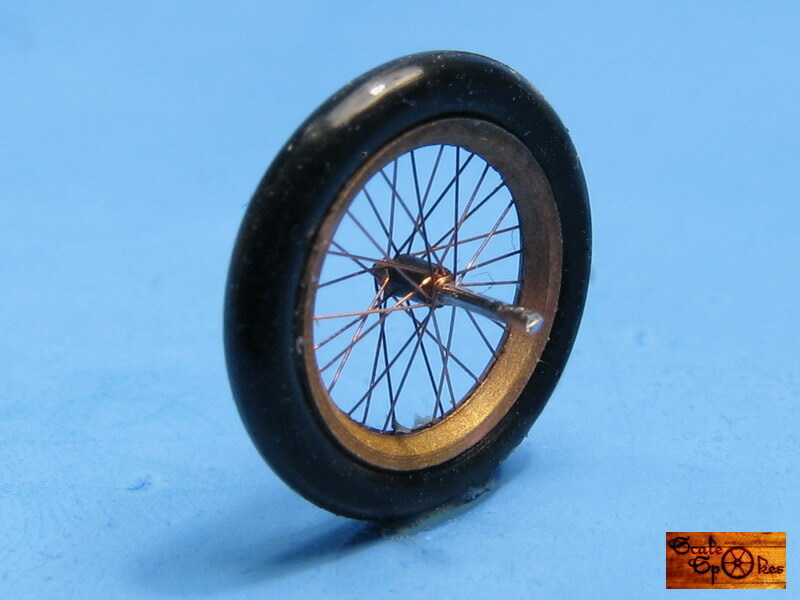 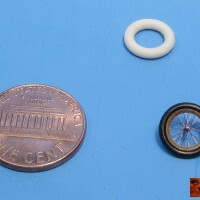 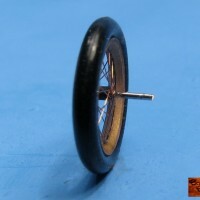 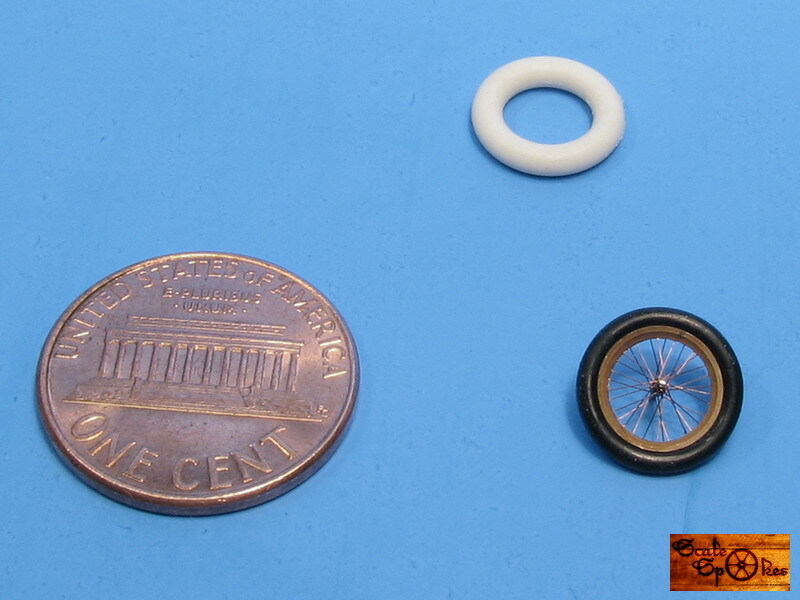 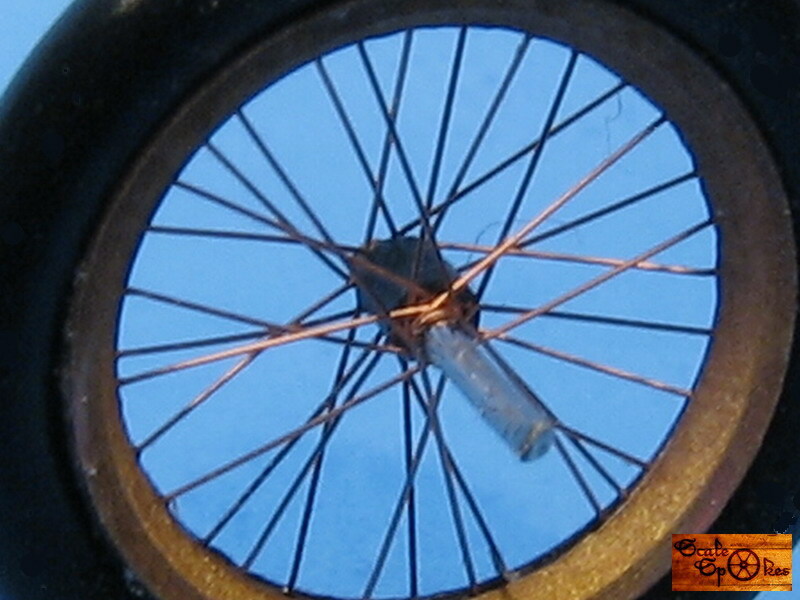 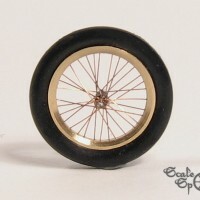 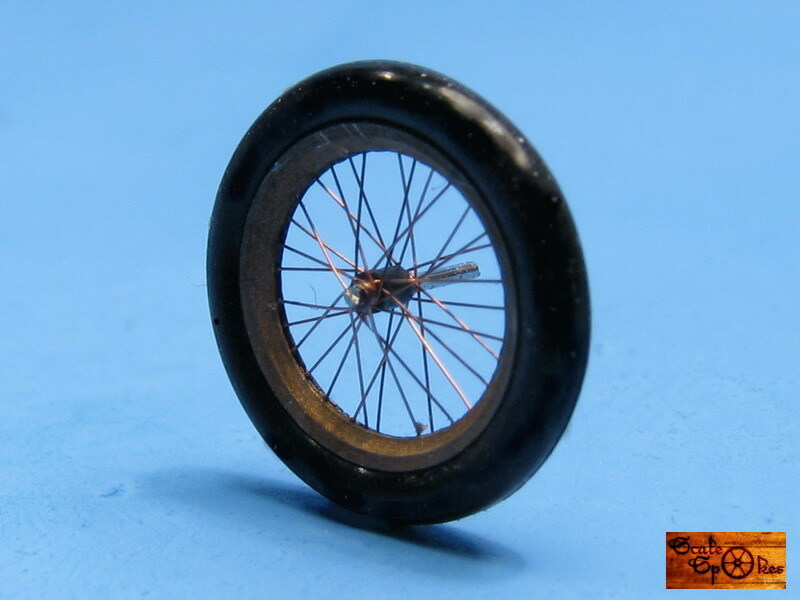 Scale Spokes offers hand-made, spoke wheels for the 1/72 SPAD XIII, All these miniature works of art feature resin or aluminum hubs, aluminum rims, copper wire spokes, and rubber tires. 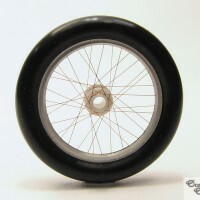 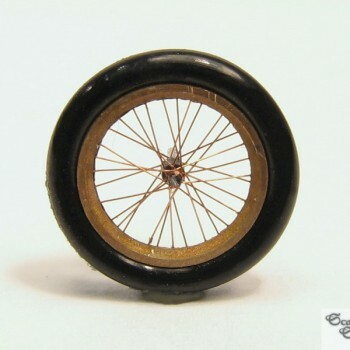 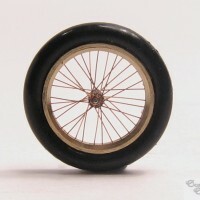 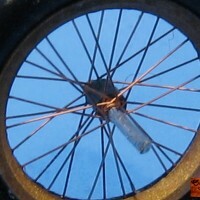 Depending on the package, each set includes two spoke wheels with two different sets of tires: either two black and two white tires, or two black and two flattened resin tires with photo-etched parts . 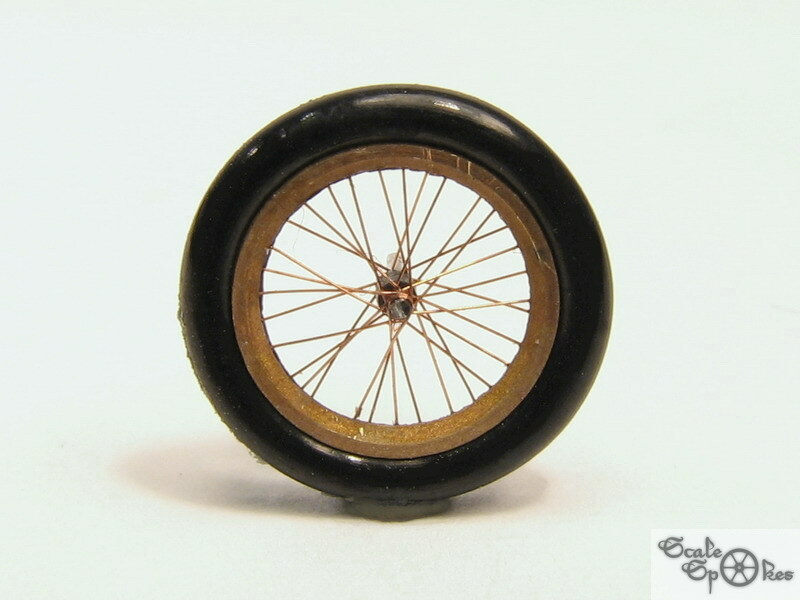 We also produce accessory sets for these wheels with upgrades such as flattened resin tires, photo-etched accessories, and manufacturer’s name decals for the tires. 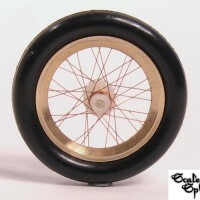 These beautiful wheels are finished products by themselves, but you can still bring them even closer to reality with further artistic techniques such as chemical treatments and paint. 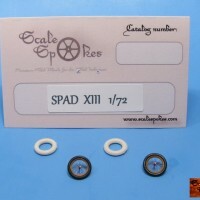 Hope you enjoy these products and that you will share your experiences with us on our new ScaleSpokes forum. 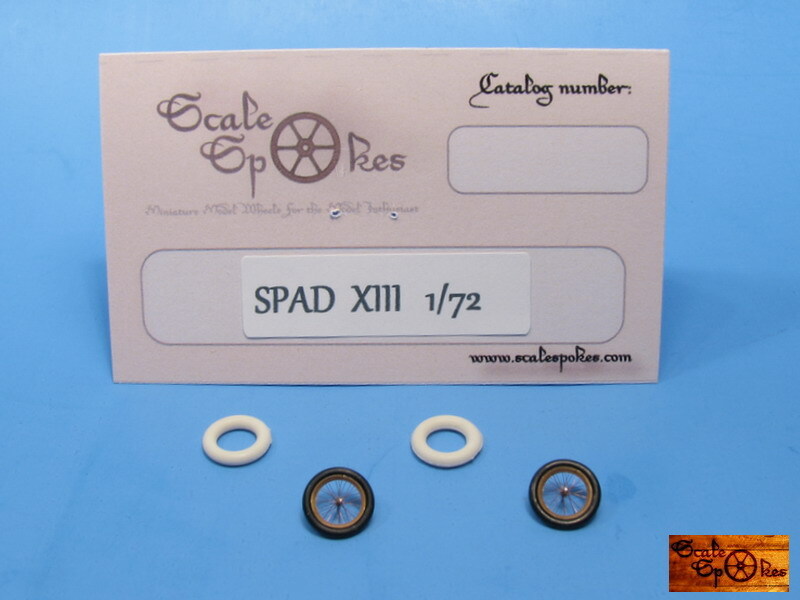 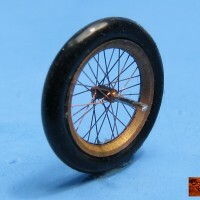 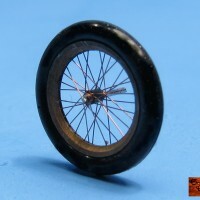 Be the first to review “Spad XIII Spoke Wheels 1/72” Click here to cancel reply.